With the Tundra TD02 Lite SilverStone has an all-in-one watercooler in its portfolio, which comes with the a slim radiator and two 120 millimeter fans. At a first look the design is good looking and you get a black radiator and fans with white fan blades. At this point we're curious to find out how this cooler performs. Today we have the pleasure to check out Silverstone's Tundra TD02-Lite compact liquid cooling system, which, according to SilverStone, should be compatible even with smaller cases and tighter spaces thanks to its 273 mm tall and 27 mm thick 240 mm radiator. The special 240mm radiator on the Tundra TD02-Lite is slightly higher than normal 120 mm models, which should guarantee increased performance while kink-resistant tubing should help with routing in smaller cases and tighter spaces. Overall this cooler is well made and it looks nice and clean. The most unique feature about it is probably its color, as it features nice looking fans with white fan blades. The bundle includes two 120 mm PWM fans with the mentioned white wings and black frame. The mounting system supports most, if not all, recent Intel and AMD socket CPUs. To us it looks like the Tundra TD02-Lite is based a design from Asetek. As you can see from the picture manufacturing quality of the Tundra TD02-Lite is on the level it should be. It's not exceptional but still on decent level for a 79 Euro all-in-one watercooler. The radiator measures 240 x 27 mm and is made from aluminium. The cooler itself features a copper baseplate and there is no pre-applied thermal compound. To be a bit more precise the dimensions of the Tundra TD02-Lite are 120 mm x 273 mm x 27mm (W x L x H). 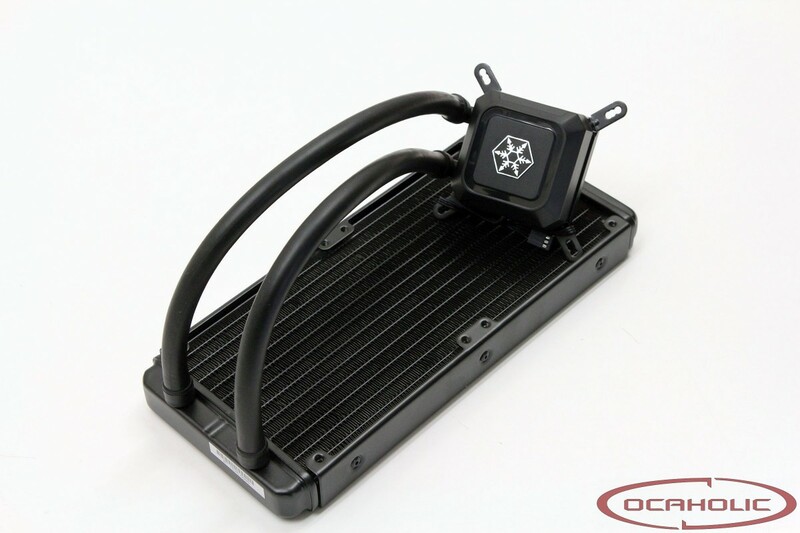 The fans also come with a neat design that works well with the rest of the Tundra TD02-Lite AIO coolers. SilverStone decided to pair the Tundra TD02-Lite with two 120x25mm fans, with nine white blades. 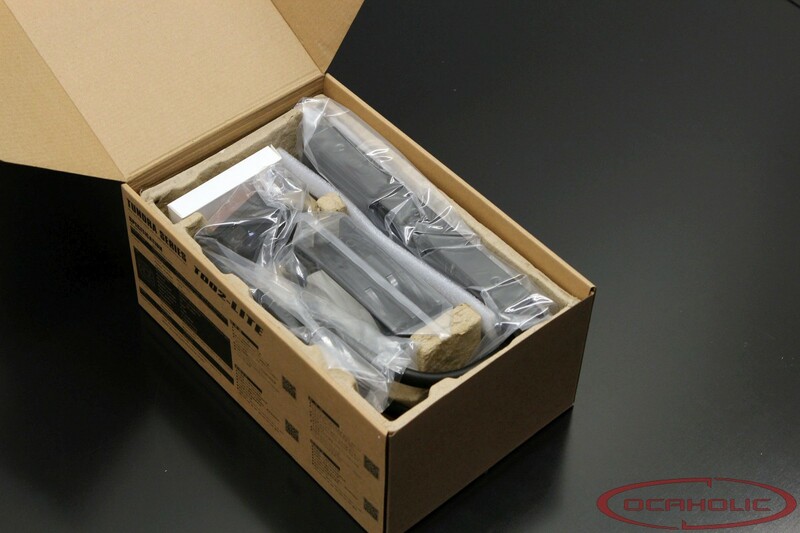 The packaging is quite standard for an all-in-one water cooling system. Alongside the AIO unit you receive two fans, a manual and mounting kits. SilverStone bundles the Tundra TD02-Lite with two mounting kits, one for AMD and one for Intel-based systems, as well as a backplate which is compatible with both AMD and Intel sockets. The SilverStone Tundra TD02-Lite is even compatible with old Intel sockets like LGA775. If anything should break down with the Tundra TD02-Lite AIO water cooler you get a warranty that covers such event for two years.